According to “Shark Tank’s” and Founder/CEO of Cybersecurity Firm Herjavec Group, Robert Herjavec, people, process and technology are key to implementing a strong security strategy. DON’T PANIC: “Shark Tank’s” Robert Herjavec feels that when it comes to a strong security strategy, it’s all about your process and keeping your cool. What is the largest security threat that businesses face currently? Robert Herjavec: In the case of cyber security, having visibility in your entire infrastructure is key. Too many companies have a whack-a-mole cyber security strategy. They focus on the immediate security problem but don’t address the bigger picture, and that’s a huge risk. You can focus on preventing a ransomware attack, training your employees about security awareness and enhancing your firewalls, but you can’t make any one effort in a silo. By taking a step back, identifying your crown jewels and developing a layered protection plan that supports 24/7/365 visibility, you can take on the consistently evolving threats facing all enterprises today. How can they better prepare to face this threat? People, process and technology are key to any cyber security strategy. 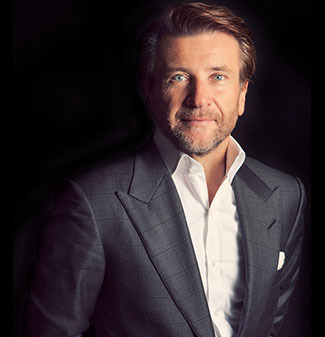 I have been running my cyber security firm, Herjavec Group, since 2003. The security landscape looks nothing like it did two years ago, let alone 14 years ago. But one thing never changes: our need to proactively prepare for an incident. We highlight a 10-point plan for our customers about security preparedness. We start at a framework level and work down to the specific business challenges and risks to pin point potential vulnerabilities and gaps in visibility. Understand what is critical, important and meaningful at your business. Document where those important things are stored, how they’re protected, and what the cost and impact is if they’re lost or stolen. Create policies, procedures and guidelines for handling information security incidents. Create practices for communication, involving your legal departments, staff, law enforcement and customers. Ensure you have visibility into the critical activity and behavior in your environment. Make incident detection and analysis a core competency for your information security program. Find a balance for your program goals and spending between preventative, detective and corrective actions, and remember that preventative controls will fail. Develop and understand your capacity for response. Hire, contract or allocate resources that are trained, and have the necessary tools and experience in incident response. Develop a plan and process to understand and react to extended incidents, or major incidents that exceed the skill level and capacity of internal staff. What is one new advancement in cyber security about which you are excited? I love our business and our industry. It’s constantly changing. Being able to have better intelligence — often using artificial intelligence — and leveraging big data analytics will change the security landscape for the next five to 10 years. We’re also placing an immense focus on our identity and access management practice. You want to understand who is accessing your data, why, for what purpose and for how long. What’s one piece of advice you want to give to business owners about security breaches? When you’re in the midst of an incident, you tend to panic, so you want to engage a partner who can bring a sense of calm to the situation. Bring in someone who has been there and knows how to guide you. Even more importantly, all businesses should be talking often about cyber security. Cyber is no longer an IT conversation; it’s an executive priority and every employee’s responsibility.